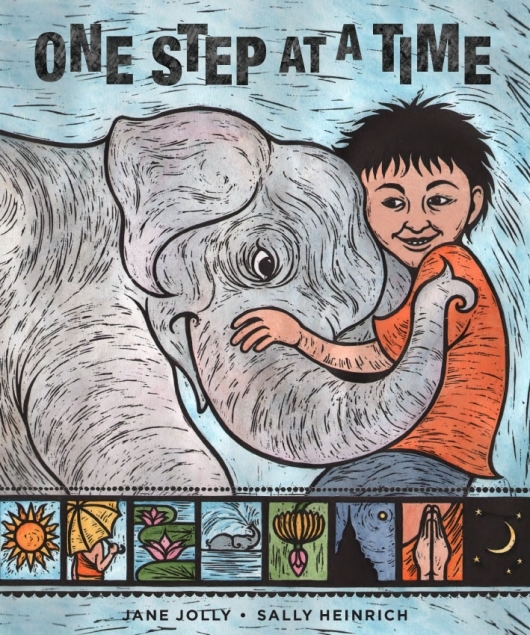 One Step at a Time is an exquisite picture book which tells a touching story about the relationship between a young boy, Luk, and his elephant, Mali. On the border of Thailand and Burma, Mali steps on a landmine. Luk supports her during her recovery. Mali is eventually fitted with a prosthesis and gets a second chance at life. Heinrich’s beautiful illustrations match Jolly’s light touch when it comes to writing about the sensitive subject of landmines. It is a story about love and friendship that will enthral children around the world.